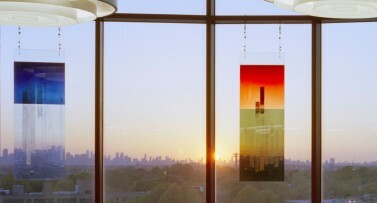 Three vertical stained glass panels set in a wider window, complement a glorious distant view of the Manhattan skyline. Laminated so there are no dividing lead lines, the panels are made with the best mouth blown glass. 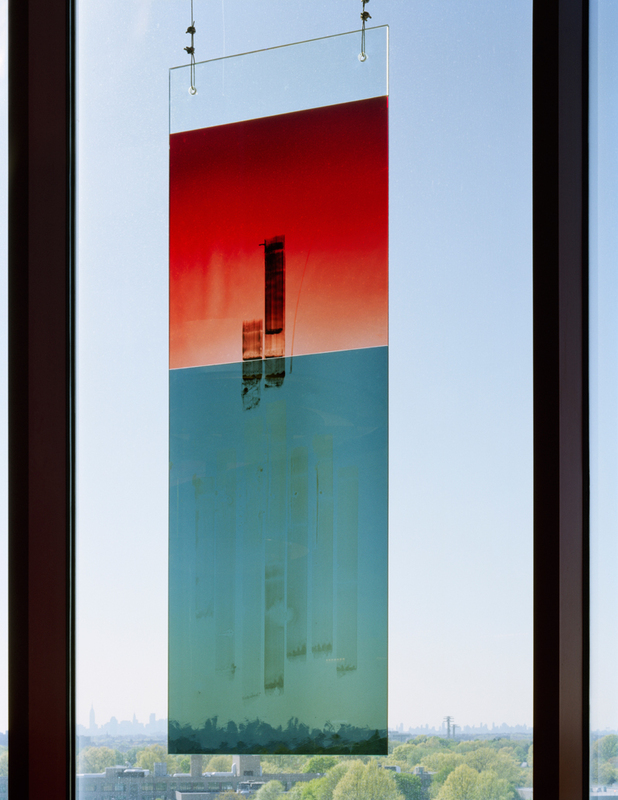 Each panel has one color at the bottom, and a square at the top unified by long painted lines. The blue, red and yellow colors were selected to echo and contrast with the changing colors of the sky.